With dozens of neighborhoods to choose from, the Paseos offers a wide selection of homes and builders for every lifestyle. No matter where you choose, those incredible mountain views will always be in the background. Santaluz is a popular choice for upscale semi-custom homes in the 2,500 square foot range. Serrano at the Paseos features larger estate sized homes with in-ground pools and Calavera offers Hacienda-style designs at a lower starting price point. 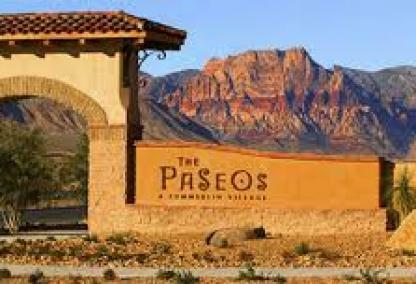 The Paseos is located in the 89138 zip code. Nearby Summerlin neighborhoods include The Vistas, The Arbors, Summerlin Centre and Red Rock Country Club. 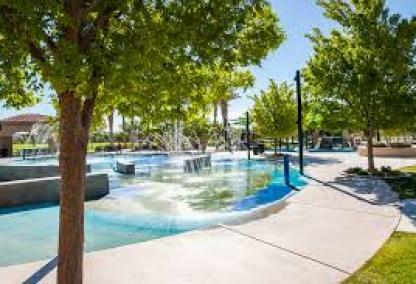 The Paseos Park in the center of the village, features 12.5 acres with junior soccer/tee-ball fields, sand volleyball court, lit basketball courts, tot lot, playground, picnic pavilions, interactive water feature, motorized toy area, and open grass areas. This is a popular recreational area that will keep the kids busy for hours. Nearby, in the Arbors you'll find Arbors Paseo Park, Sports Park with Olympic-size pool and sports fields, Tennis and Play Park with five lighted tennis courts, and a special toddler play area complete with tricycle track. There are several neighboring golf courses easily accessed by residents in Paseos Village including Arroyo Golf club and Red Rock Country Club. 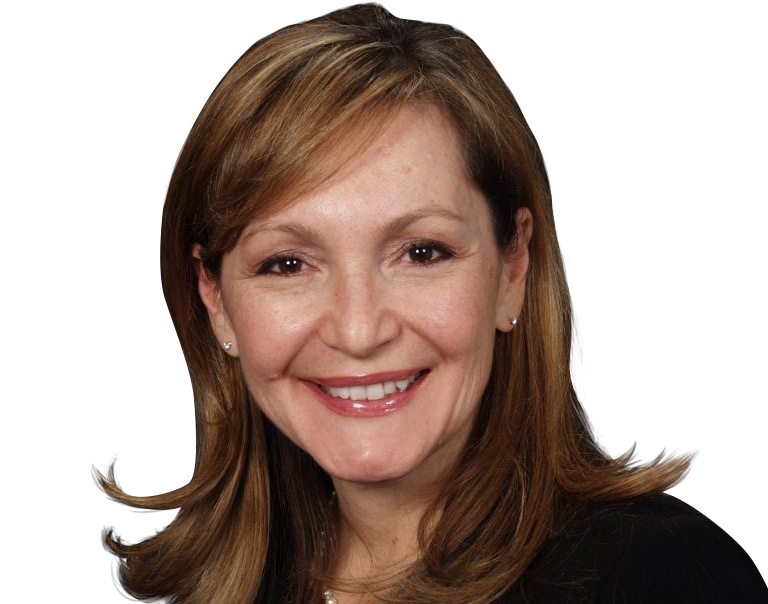 Leslie will be happy to assist with any questions or information you require about real estate in the Paseos or other Summerlin subdivisions. Please do not hesitate to email or call: (702) 321-1763 for more information.